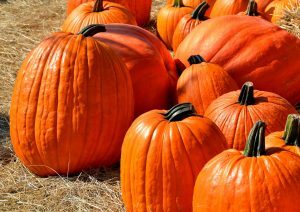 Fall could arguable be one of the best seasons, with all of the holidays starting, weather cooling down (from unbearably hot to just hot since were in Southern California), and community events! We’ve got something for everyone, including tacos, wine, jazz, live music, and of course Halloween. Check out our calendar to all the fun events happening near you! Head on over to Redlands 8th Annual Oktoberfest. This is a kid-friendly event, with a play area containing various games and a bounce house. There is plenty of fun available for the adults as well, with contests for best costume, Yodeling, Stein Holding, and Hammerschlagen. Who doesn’t love some good live music? 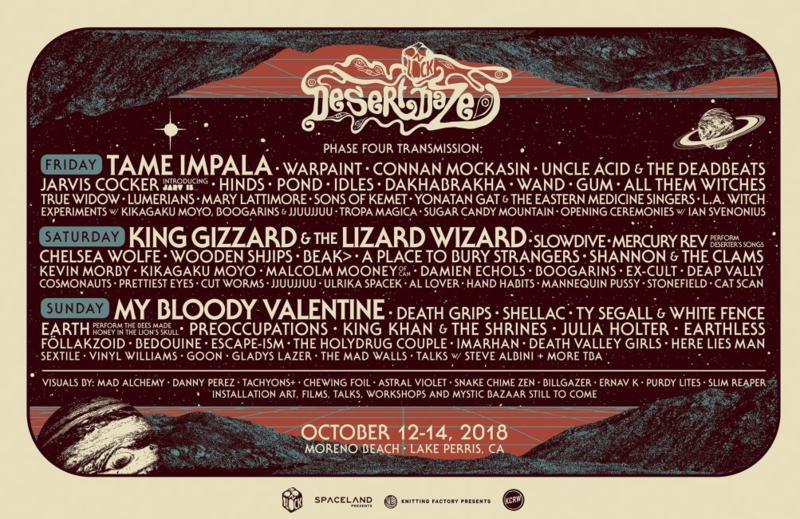 The Desert daze is close enough to home and offers a payment plan. So theres basically no excuse to not go! 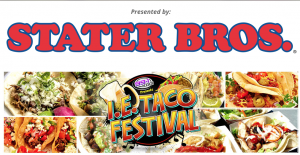 99.1 KGGI and Staters Bros. teamed up with Riverside Meals On Wheels to bring you the 4th annual I.E. 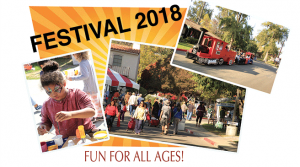 Taco Festival Saturday, October 13th at White Park in downtown Riverside. Headlining the Taco Festival this year on the Easy Choice Health Plan stage is Fat Joe, A Lighter Shade of Brown, the Juice Band, Mariachis and many more entertainers! 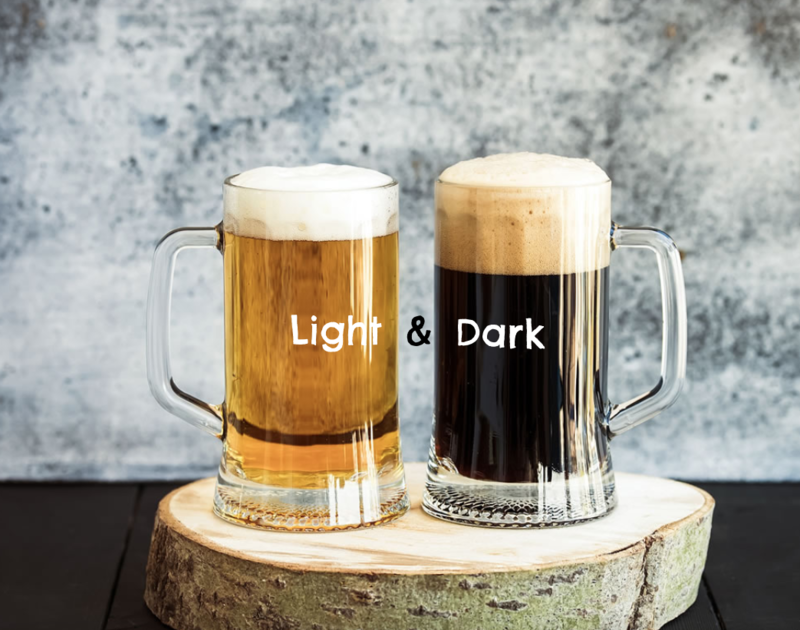 The festival will also feature a Beer & Wine Garden brought to you by Bud Light, Estrella Jalisco and Mountain Vista Winery. Soroptimist International of Corona is a non-profit business women’s service organization, which improves the lives of women and girls in our local community and throughout the world. 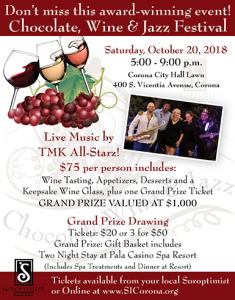 Join them as they host a Chocolate, Wine & Jazz Festival this October! You’ll enjoy live music, appetizers, wine tastings, desserts and a chance to win their grand prize give away. 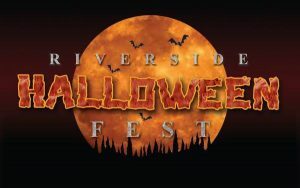 Don’t miss out on Riverside’s Halloween Fest, with vendors and scary characters walking around DTR at White Park. 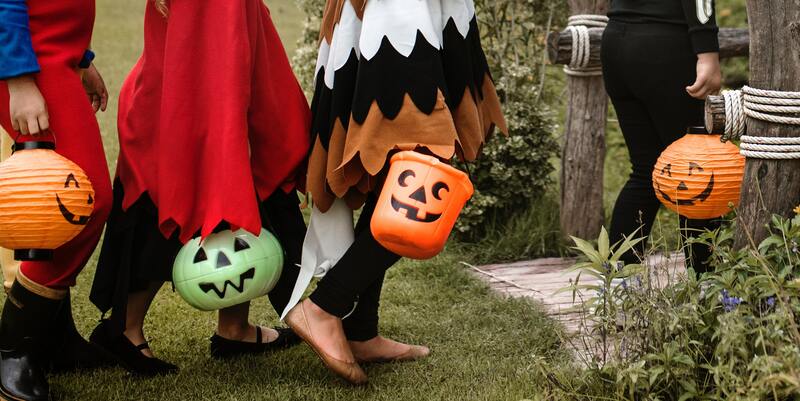 Dress to impress… or to scare! The Pilgrim Place Festival offers two days of shopping, fun, children’s games and food. You will find vintage clothing, precious and costume jewelry, baked goods, plants, crafting, household items and more.